Ivanka Trump‘s fashion line has struggled with falling sales and boycotts from several large stores, including the Nordstrom chain, which yanked her products from its shelves. According to Rakuten Intelligence, online sales of her products at Amazon, Bloomingdale’s, Macy’s and Zappos have fallen by 55 percent over the past year. A Care2 petition with over 17,000 signatures has added to the pressure to remove Trump’s line entirely by asking that Lord & Taylor department stores stop carrying the brand. Even better than having Lord & Taylor dump the Ivanka Trump brand, on July 24 Trump announced that she’s closing her fashion line completely. The Care2 team initially targeted the Hudson’s Bay Company, Canada’s oldest department chain, which announced last month that the country’s stores would pull all Ivanka Trump products from their shelves. However, HBC also owns Lord & Taylor in the U.S., and for some reason the company didn’t implement the same policy south of the border. The Care2 petition called for HBC to remove Trump products permanently from all U.S. stores too. There are plenty of reasons to celebrate the end of Trump’s fashion brand. Aside from the obvious conflict of interest, she’s also had the gall to promote the importance of American-made goods – even while her own products are made in China, Bangladesh and Indonesia. Trump has also been made aware of human rights abuses at her factories, but she failed to take action to address them. Last year I wrote about three men who were investigating conditions at a factory that made shoes for the Trump brand; one man was arrested, and the other two disappeared. Trump took no action in these cases. According to a report published by the Associated Press, conditions at this factory — the Ganzhou Huajian International Shoe City Company — were appalling: Workers routinely had 17-hour days with only two days off per month; physical and verbal abuse was rampant; and employees were faced with impossible quotas to fill. In addition to all of this, Ivanka Trump’s participation in the controversial opening of the U.S. Embassy in Jerusalem on May 14, 2018 — a day which marked the 70th anniversary of driving almost 700,000 Palestinians from their homes in 1948, when the state of Israel was created. While Trump was smiling and cutting ribbons in Jerusalem, violence was erupting in Gaza: 58 Palestinians were killed, and over 2,700 were injured on that day. Ivanka’s smile was undoubtedly offered… to distract from the mayhem and death that any thoughtful person could have anticipated as the embassy opened. 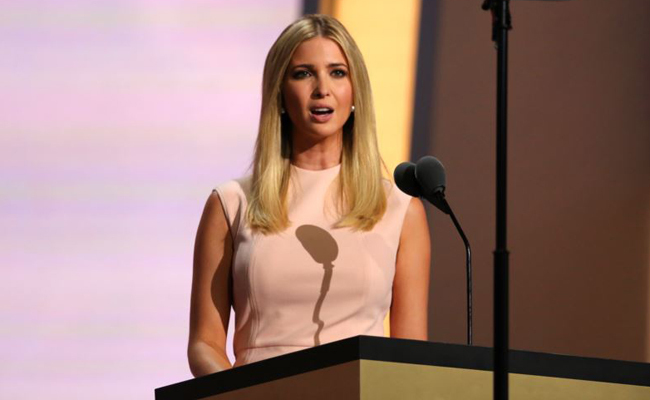 Thankfully, we are now rid of the fashion products of Ivanka Trump, who has consistently demonstrated a clear disregard for basic human rights around the world. If you’re impressed by the success of this Care2 petition, why not start your own petition about an issue that’s important to you? Get started using these guidelines, and soon you’ll find the vibrant Care2 community signing up to support you.